YOUTH and ADULT men from across North America participate in residential treatment at Last Door, thousands have found recovery through Last Door’s treatment programs, call us today, we can help! 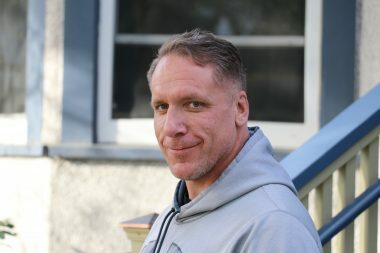 Last Door offers Private Medical Detox, 10 day Intro to Recovery Program, Return To Work Treatment Program, and longer, open ended term addiction treatment and transition programs. When is the right time to consider residential addiction treatment? Is alcohol or other drugs negatively affecting your family relationships, work, school, finances and social activities? If they might be, call us today for a free consultation. Some people are sent to treatment by their employers, family demands, and some by their own request for help. One common myth is that a person needs to “hit rock bottom” before accepting treatment. Our addiction specialists can work with you to develop a plan that could include residential treatment, a short Intro to Recovery, or meeting with a Recovery Coach who can help guide you to a better quality of life. Last Door’s treatment center provides services for alcohol rehab, drug addiction treatment, and gaming addiction. Our Family Programs help the whole family recover from the harms of addiction. Returning to school, returning to work, or needing to start all over, Last Door’s rehab programs can help you achieve your goals. It’s always the right time to start the journey. Individuals and families recovering from addiction gain support and guidance to restore themselves to mental, spiritual, physical and emotional health from a certified addiction counselling team, peers and alumni. ABOUT THIS VIDEO – This is how we treat addiction at Last Door, by connecting people to community and their family while participating in a medically led program. Helping clients and their families build their Recovery Capital using the Social Model Treatment approach. Treatment is viewed as a starting point to a healthier, recovery-based life, free from the impacts of active addiction. Primary Care Facilities are located in uptown New Westminster, BC. Clients get immersed into a vibrant recovery community, and learn through experiential learning on how to rebuild their life. Clients also have access to a beautiful retreat property in a rural area. Experience-based education and learning challenges youth to develop healthy values, attitudes, beliefs and behaviors. The ultimate goal is increased self esteem and improved decision making to support a healthier, recovery-based life, free from the impacts of active addiction. Our clinical teams assist clients to navigate help for mental health challenges, education and job readiness skills. Last Door’s Addiction Rehab provide services for three primary groups, youth males 14 to 18 years of age, adult males 19 to 30 years of age, and for men 30 years of age and over. There are also groups for partners, parents, alumni, and friends and family. Last Door's Residential Withdrawal Management and Stabilization Program includes private in-patient medically supported drug and alcohol detox with a physician, nurse and recovery coach. Employees in safety-sensitive roles often use this service to begin their recovery from addiction and return to work. We can provide referrals to licensed Interventionists who provide a variety of services including intervention, life coaching, consultation and case management. Together you will help clarify needs and develop plans for recovery that may or may not include our services. No Additional Costs for Client’s Families. Last Door Family Program is designed to offer support for regaining trust, ensuring responsibility, forgiveness and achieving structured accountability. Enroll in our Family Enhancement Program. It is not uncommon for alumni with 20 years in recovery to stop by and attend one of our two weekly alumni groups or use Last Door’s counsellors for Post-Op Care. Our team is always available, no appointments needed. Alumni can access free online alumni groups. Biopsychosocial supports addiction treatment with services that are offered on an assessed client needs basis. Clients participate in didactic groups, recreational activities and family events. Last Door’s Metro Vancouver area facilities are located in New Westminster and Mission BC and support individuals and families recover from drug and/or alcohol addiction, gambling addiction, food addiction, video gaming addiction, internet addiction and nicotine addiction. Drug use can take control of your life, Last Door can help you overcome the obsession to use and find a new way to live. Alcohol kills more people per year than other substances, Last Door has been working with men who suffer from alcohol use disorder for over 35 years. People who quite smoking in treatment have better results at recovery. Get your health back, all of it, in Last Door's nicotine free environment. Many say they can't quit smoking, yet thousands have quit. Gambling addicts become physically and psychologically dependent on the ritual and practice of gambling - the impact of this in various life areas is substantial. We can help you overcome your gambling addiction. Video game addiction and internet addiction is a clinical impulse control disorder. 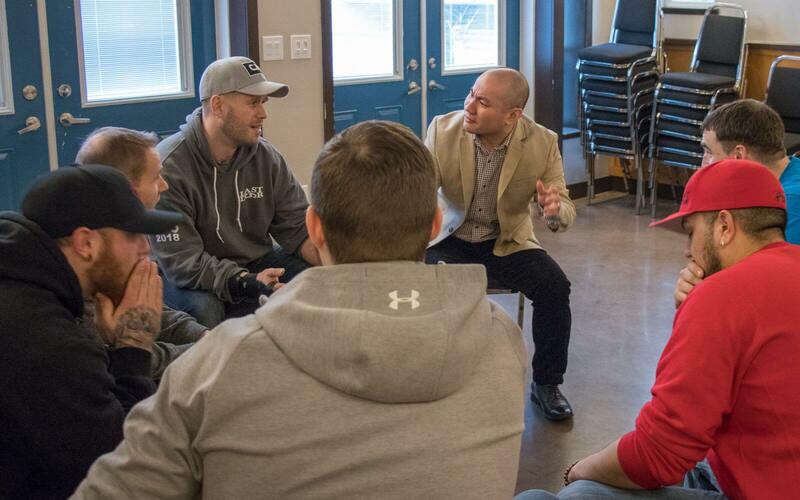 Many young men from across North America come to treatment at Last Door to rebuild their lives and find new interests that doesn't involve hours in front of a computer screen. First Nations Communities from across Canada have accessed treatment beds at Last Door, our youth and adult programs highlighted with family treatment services are culturally sensitive, and put a focus on recovery. Last Door is known for its healthy community that encourages clients to build their own personal Recovery Capital. Recovery Capital is a focus on the development of social capital (such as healthy and stable relationships), material capital (such as finances and accommodation), human capital (mental and physical health, skills, and employment) and cultural capital (values, beliefs, and attitudes).